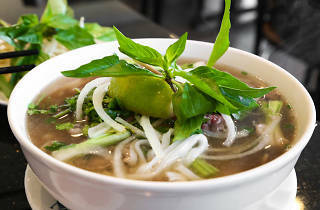 Pho achieves an impressive paradox: While delivering an intense, balls-to-the-wall beef experience, the balance of rice noodles, nearly clear broth and a final plunk of fresh herbs and bean sprouts manages to make this comforting beef soup a light dish that's still deeply satisfying. Add to that an aromatic host of seasonings, charred onion, ginger and a pop of fish sauce, and a bowl of good pho might just have the best beef broth on the planet. 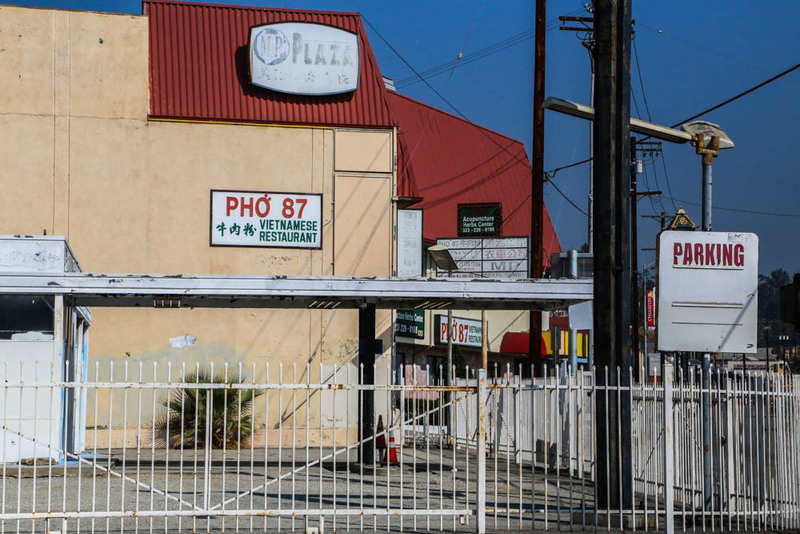 If you're looking for cheap eats and a lighter alternative to ramen, head to one of these pho spots (they're not all in the SGV! 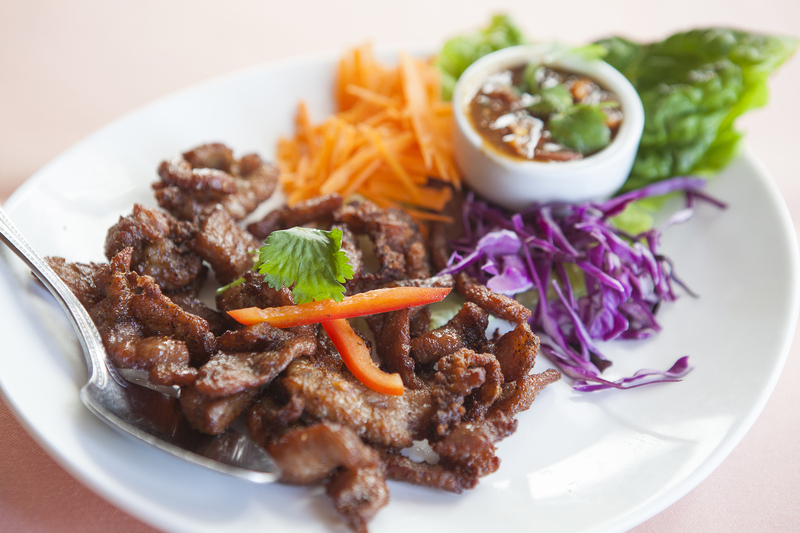 ), grab your chopsticks and dig in. 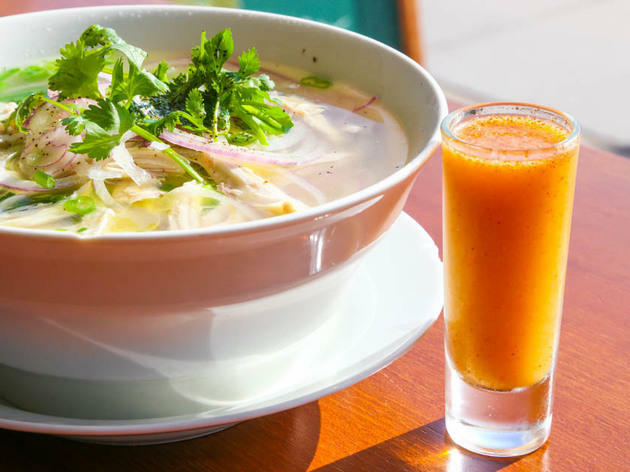 This Vietnamese standout along Sawtelle's ramen row in Little Osaka is a family affair, and it shows in the homestyle cooking and friendly, knowledgeable servers. Nong Lá uses no MSG in their broth, which gives it a beefy purity with depth in lieu of more aggressive spicing, and wider, softer noodles that add to the comfort factor. The filet has a cozy, melt-in-the-mouth texture and the high-quality brisket delivers meaty reassurance. 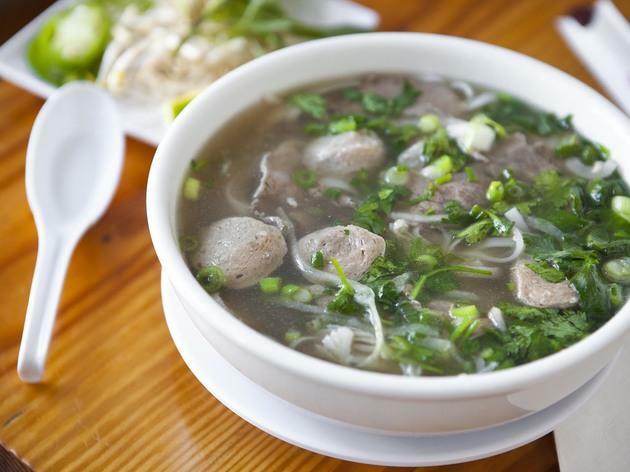 The beef balls have a hand-hewn quality—each tastes a little different, and none are too peppery—and get their beefy satisfaction from the tendon that doesn't make it into the bowl of pho đặc biệt. And while you may long for a little more meat, it still tastes like coming home. 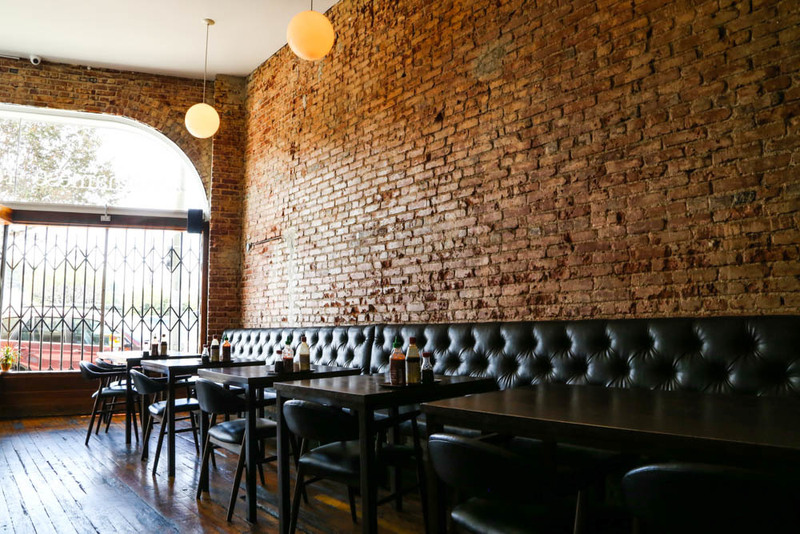 White walls, an expanse of brick, and low black leather banquettes don't shout "Vietnamese cuisine" until you look all the way to the back, where a row of large blue and white vases line a shelf. Friendly staff, loud music and mid-century modern chairs maintain a casual vibe, and everything is pristine and clean, including the broth. 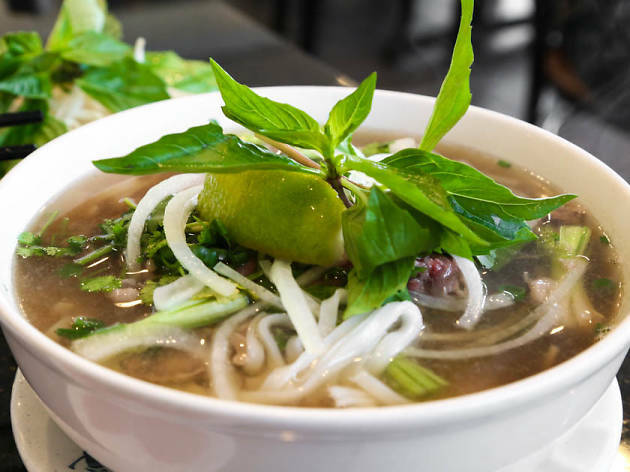 The pho is very beef-forward with a simple, rich depth, perfect for the patrons: It isn't aggressively spiced, and has no discernable fish sauce funk. The meat itself is good quality, with long ribbons of chewy, pleasantly fatty brisket and beef balls that pack a peppery punch—satisfying and just right. 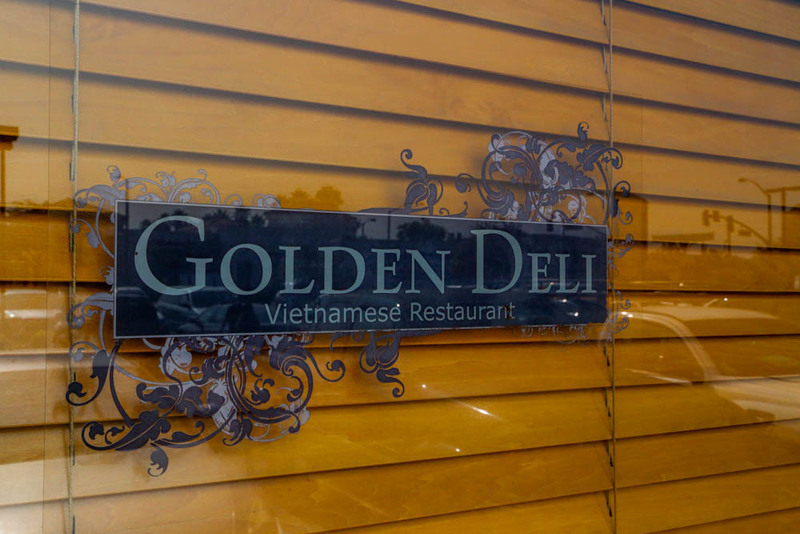 In addition to the Silver Lake location, there's also a Blossom in Chinatown and Downtown LA. 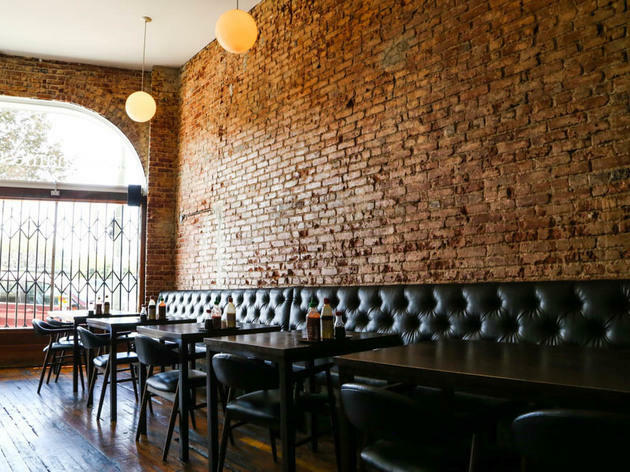 Viet Noodle Bar occupies an airy, minimalist spot on Glendale Boulevard with white walls, exposed brick and low wood tables that warm up the space. Free books line one wall to welcome the solitary diner. 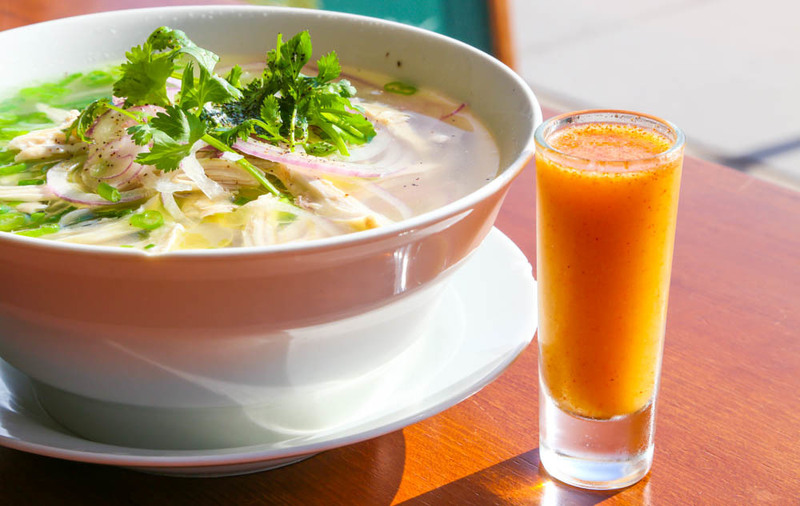 In a break from the pho's über beefiness, the ginger fish pho offers a delicate, clean chicken broth with a deep, mellow ginger flavor that dances at the back of the tongue. Crispy fried shallots sprinkled on top (no plate of accoutrements here) quickly soften in the broth to become pleasantly gentle pops of chewy allium. Wide, soft noodles support the perfectly poached, tender white curls of fish that achieve a near-perfect matzoh ball consistency—the ultimate comfort experience. This bustling restaurant is the last stop at the edge of Chinatown before North Broadway turns lonely and desolate, and while prices have recently gone up a few dollars, the pho here still hits it out of the park. The pale, almost clear broth delivers a deep, round beefy taste that coats the tongue and delivers pops of ginger, garlic and an unexpected hint of carrot. The sliced onion holds onto a touch of its crunch, the fatty brisket strikes a hearty note and jagged chunks of tendon keep the game interesting. 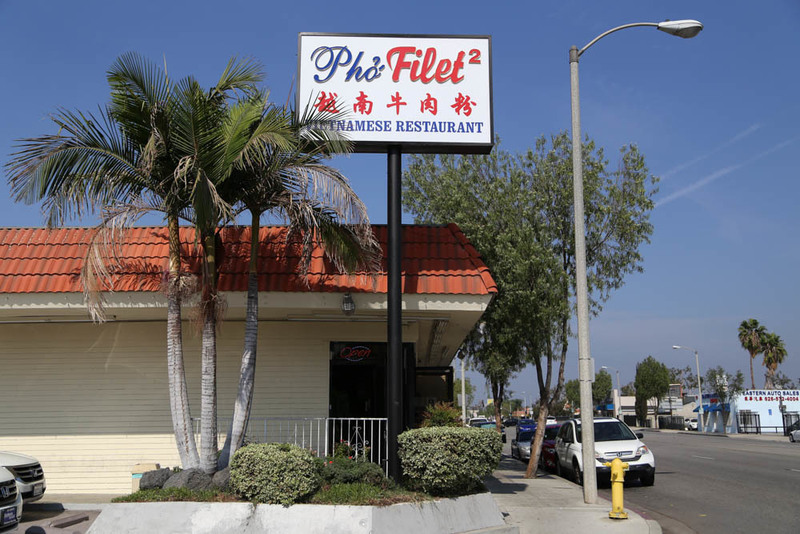 And if you time your meal just right, you might get to sit near LA Dodgers pitcher Hyun-Jin Ryu, a regular Pho 87 fan. 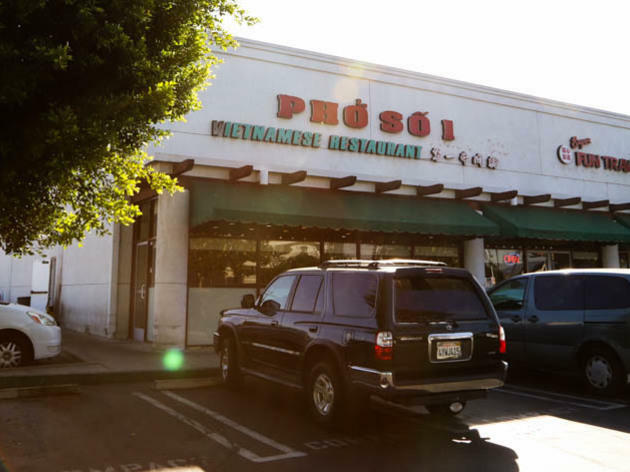 It's a short trip up Sepulveda to reach the bright and cheerful outpost of this restaurant chain, adjacent to a 99 Ranch Market with ample parking. Someone in the kitchen has advanced knife skills: The onion slices are so thin they're transparent, while strips of beefy brisket are nearly see-through with a delicate edging of chewy fat. The tendon, in contrast, arrives in glistening cubes buried deep in the bowl, carried by the broth. It's murky but delicious, with notes of charred onion and clove. The meal is completed by a plate of garnishes that catches the light like an herbaceous still life if you sit by the window at the right time of day. 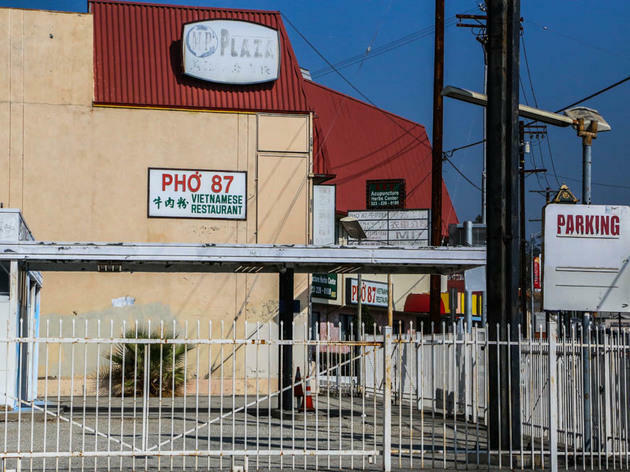 This San Gabriel institution always seems to have a crowd waiting out front, and with good reason: Many Angelenos had their first sip of pho here, and the menu reads like a phone book primer of Vietnamese cuisine. 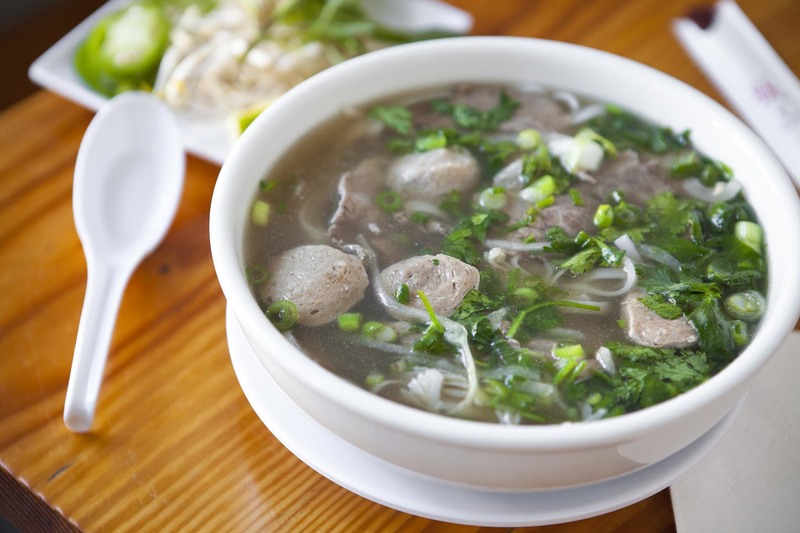 If you order the pho đặc biệt, your final treasure hunt for the last bits of meat, tendon and tripe at the bottom of the bowl will reap big rewards—these are generous servings. 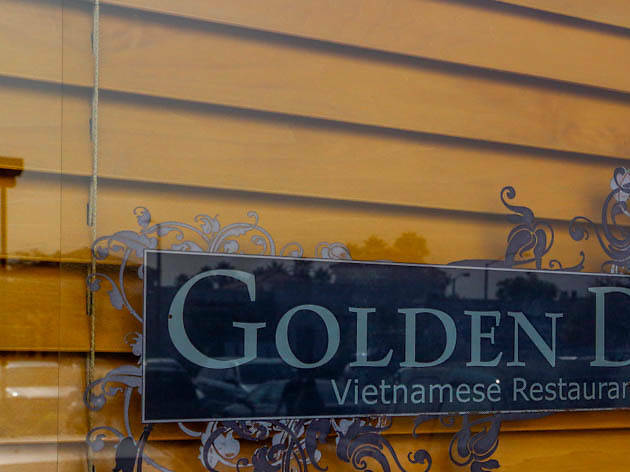 Don't miss the cha gio, Vietnamese egg rolls made the traditional way: with rice paper that crackles and crunches with every bite. 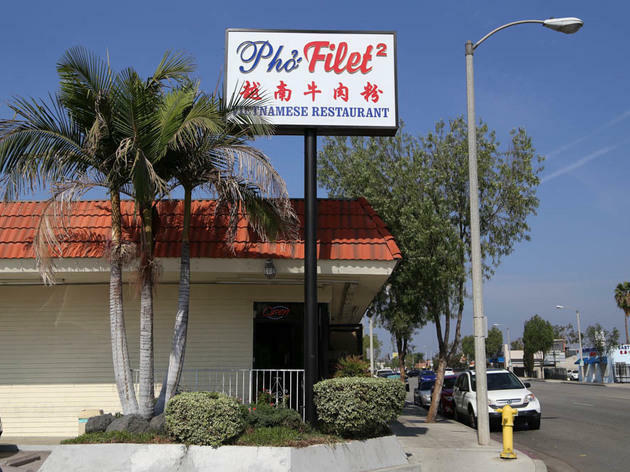 Judging by the brusque, borderline hostile customer service at Pho Filet 2, no one will be glad you showed up here (or at the original locale in South El Monte, for that matter), but you can look past that when the soup is this amazing. Their phở bac, the original Northern version of the oft elaborate soup, pares everything down to the essentials: An aromatic, soulful broth that gets its depth from long-simmered bones; slightly softer, wide, flat noodles; and instead of a mishmash of beef cuts, simple strips of beef—in this case, cloud-like, crumbling slips of rich filet mignon. The final, exquisitely simple result is adorned with a smattering of herbs, has an ideal scallion-to-soup ratio and includes thin slivers of ginger that ultimately illuminate a perfect beef sunset in a bowl. 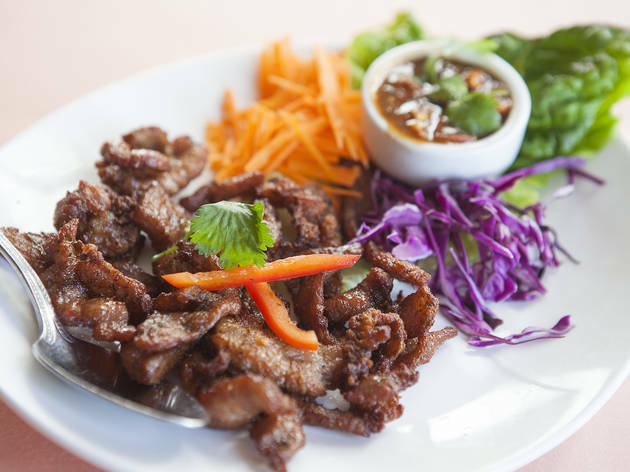 Go beyond pad thai at our favorite Thai restaurants in the city.